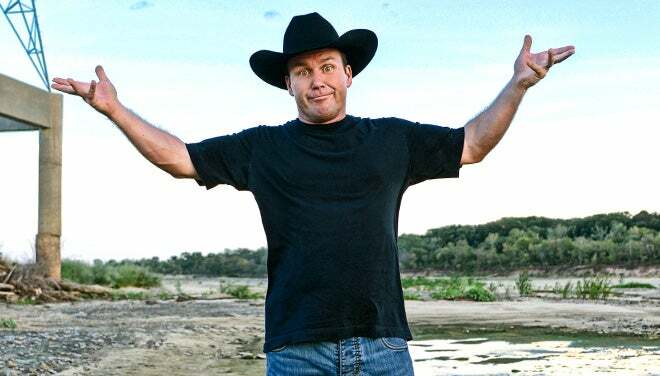 Rodney Carrington comes to the Peace Center on Thursday, Jan. 10, at 7:30 p.m.
Rodney Carrington is a multitalented comedian, actor and writer who has recorded eight major record label comedy albums, selling more than three million copies. Morning Wood has been certified gold and Greatest Hits has been certified platinum by the RIAA. Carrington starred in his own TV sitcom, Rodney, which ran for two seasons on ABC. He co-wrote and co-starred with Toby Keith in the feature film Beer for My Horses. In 2011, Rodney partnered with the American Country Awards, presenting on their awards show and hosting American Country New Year's Eve Live on Fox. Performing to sold-out crowds across the United States, Carrington has been one of the top 10 highest-grossing touring comedians for the last 10 years. His latest Netflix special, Here Comes The Truth, is available now, and the album is available on iTunes and Google Play. Tickets for the Thursday, Jan. 10, 2019, 8 p.m. performance by Rodney Carrington are $35-$55 and may be purchased by calling 864.467.3000 or 800.888.7768, in person at the Peace Center Box Office or online at www.peacecenter.org. A limited number of VIP packages are available for $190, including a premium ticket, a post-show meet and greet with Carrington and a signed VIP lanyard.